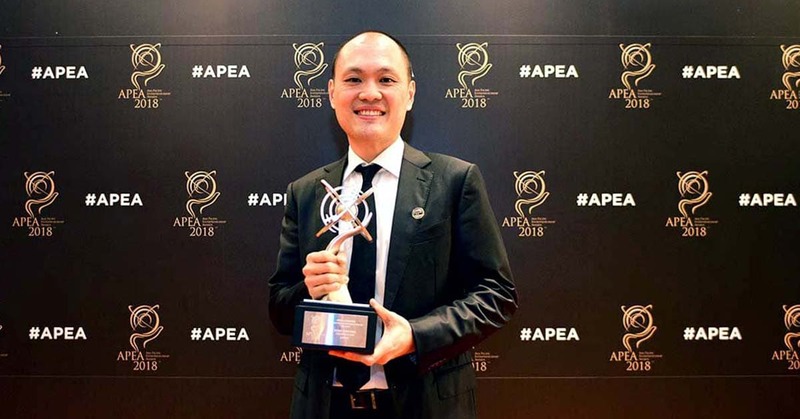 Founder and CEO of JustCo, Kong Wan Sing, was named winner at the Asia Pacific Entrepreneurship Awards 2018 (APEA), under the Professional & Business Services category. The APEA is a regional award honouring entrepreneurs who has established groundbreaking differences, took bold risks and are constantly driven to fulfil their dreams. Awardees of this prestigious award are leaders and pioneers in their very own fields, and for companies to be recognized for their outstanding entrepreneurship excellence. “The journey of entrepreneurship hasn’t been easy, and I’m sure the common ground shared by all entrepreneurs are undeniably the obstacles, hard work, and perseverance involved. Great work is never done by one person, but can only be achieved together with a team of great people; and I am incredibly grateful to have a talented and dynamic JustCo team behind this entrepreneurship journey”, says Kong Wan Sing. Since 2015, JustCo has successfully championed the movement of community-building, workspace solutions and the collaborative co-working experience through various initiatives and events. This prestigious award serves as a testament for what the business has achieved to date, and for JustCo to continue building a large and strong community for members to fully harness the effect of co-working. By 2020, JustCo is set to dominate Asia by way of entry into key strategic cities.